Ceri Brooks of Hen House Devizes is delighted to have created the dress for Mrs Peter Philips to wear to the Royal Wedding of HRH Prince Harry and Ms Meghan Markle. Ceri created the bespoke outfit especially for the occasion, working closely with Mrs Philips on the design. Recently we’ve discovered The Wedding Secret and have spent so much time browsing their website, it’s a great service for brides planning weddings local to us and it has a page dedicated to wedding venues in Wiltshire for those at the beginning of their planning process. Did you know that you can get married at Longleat Safari Park? Their beautiful Elizabethan mansion is such a beautiful place for a wedding. We also really like the idea of a barn wedding. Rye Hill Barn is an 18th-century barn venue with characterful oak beams. However, it’s hard to beat the convenience of an all-inclusive hotel wedding venue. The Bishopstrow Hotel and Spa can host your ceremony, wedding breakfast, reception and provide catering and overnight accommodation. What’s more, the hotel is situated within a beautiful ivy-covered country house – so it’s both convenient and beautiful! If you’re planning a wedding in the local area, it’s a great place to start. Shop Small is a great opportunity for American Express Card members to boost their seasonal shopping. Spend £10 or more in a single transaction at Hen House and receive a £5 statement credit. The campaign period runs from 3rd to 18th December 2016. So, what are you waiting for? There is no better reason to get down to your high street and support your local shops, whilst being rewarded at the same time. We're pleased to let you know that all Menswear and Formal Hire is now in it's own shop - Fox in the House. 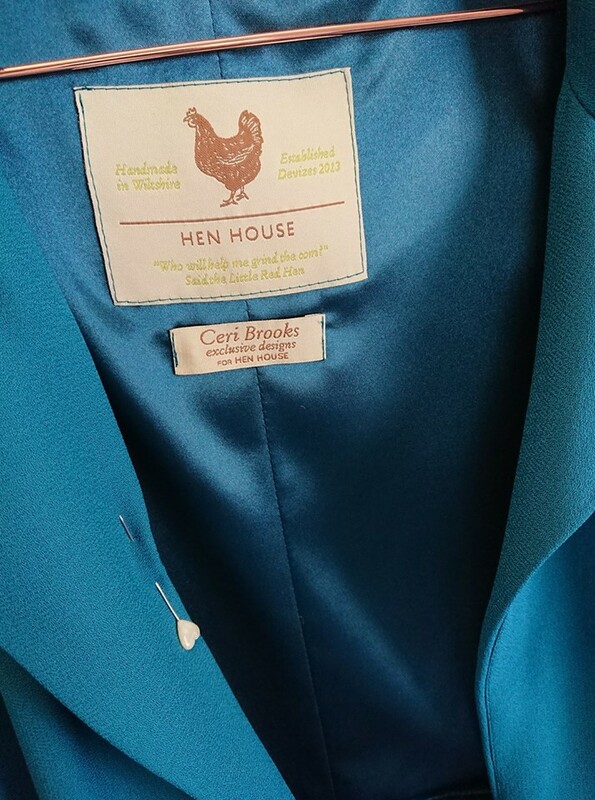 Exclusively for gents, the new shop is opposite the cinema in the Market Place and has its own dedicated floor for Formal Hire as well as curated collection of menswear in the main shop. Check out their new web site here. We are really pleased to say the first gown of our new Louise Bentley collection has just arrived at Hen House Brides. 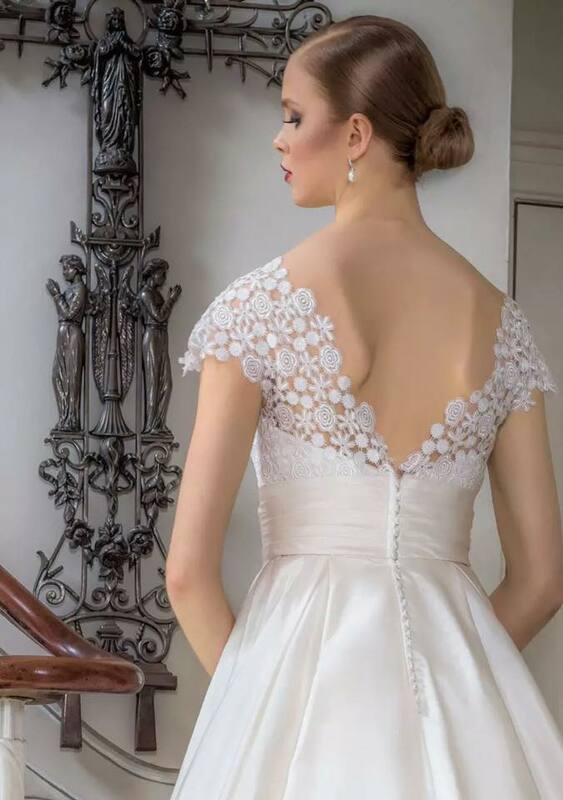 Louise Bentley is an exquisite collection of British designed, beautiful, well-cut elegant wedding gowns. The use of pure silks and corded laces are at the heart of this gorgeous new collection. We've more arriving during the Spring 16 Season and we can't wait to show them to you.